Collect all the orders and reach 125000 points to complete the level. This level has medium difficulty. 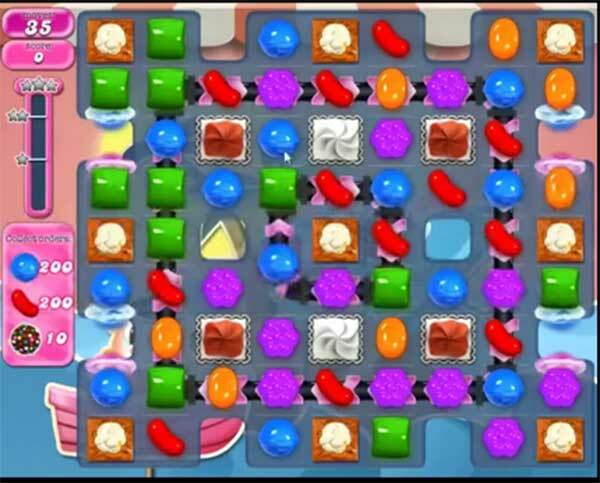 For this level try to play more from the bottom to shuffle the candies as it will will break candies automatically plus will give chance to make special candy. Try to combine special candies with each other to break the popcorn blocker to get the colorbomb to complete the order. Or watch video from below to get more help. 1540 make as many social candies as possible this helps with breaking pop corn and getting target colours .